CafeSuite Knowledge Base - CafeStation cannot connect with some of the workstations. What's wrong? If ping command fails, it means that there is something wrong with network setup. If other workstations are connected successfully, please verify that the TCP/IP protocol settings in LAN connection properties are correct. 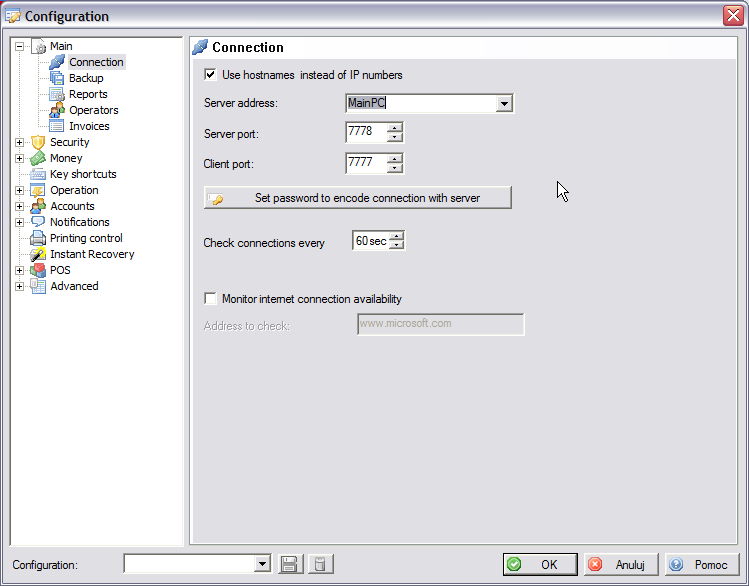 Usually network is set to obtain an IP address automatically, but if you're using static IP numbers, make sure that the default gateway and subnet mask match settings on the computers that connect properly. If pings are received correctly,perhaps the client is running on a different port. The default CafeAgent port is 7777, but it might have been changed in program settings (on Main/Connection page). Here's how to check what address and port client tries to connect to.